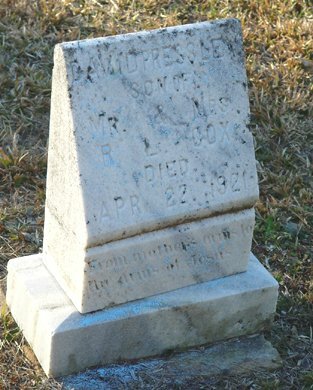 David Pressley Cox, son of Robert Lee Cox and Ollie Abernathy. David Pressley, infant son of Mr. and Mrs. Robert Cox, was laid to rest in the Macedonia Cemetery last Saturday. We all sympathize with the bereaved parents and grandparents.